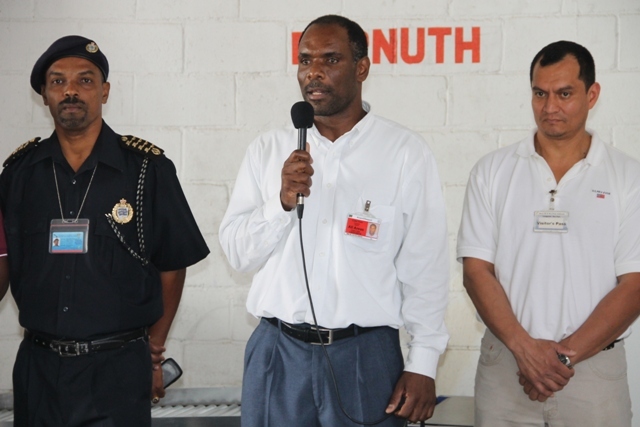 NIA CHARLESTOWN NEVIS (March 18, 2015) — In continued efforts to deter crime the Ministry of Finance on Nevis in collaboration with the St. Christopher and Nevis Social Security Board equipped the Customs Department at the Long Point Port with an X-ray Inspection system on March 13,2015. Premier of Nevis Hon. Vance Amory informed the general public that the implementation of the X-ray machine was in an effort to protect the island’s borders. “The introduction of this x-ray machine at Customs will go a long way in reducing and I hope eliminating any effort by anyone to use Nevis as a port of entry for illegal substances whether it’s weapons, ammunition or illegal drugs,” he said. Meantime, in a brief handing over ceremony, Permanent Secretary in the Ministry of Finance in the Nevis Island Administration (NIA) Colin Dore explained that the installation of the machine would result in the enhancement and expedition of the Customs clearing process. He also stated that it was a step one in the overall initiative to strengthen the island’s borders. “What will happen from here onwards is that every piece of cargo entering the warehouse would be examined via the X-ray machine. It would therefore give the customs officer a chance to expedite the way in which cargo is processed… the machine as it is, would give a good insight to what is inside of packages and therefore, speed up the process and work greatly to enhance what is being done by the customs officer,” he said. Co-Founder of Security Equipment Services and Representative for Autoclear, the manufacturer of the X-ray system Salvador Leanos, has been conducting training exercises with the Customs Officers on how to operate the machine. He stated that they would work along with the Nevis Island Administration to also upgrade other systems to further secure the island. Deputy Comptroller of Customs Cynric Carey took the opportunity to thank the Ministry of Finance and the NIA. He said the installation of the machine showed the NIAs commitment to help combat crime which would not only prevent the importation of bombs, ammunition and other contraband but help keep Nevis safe. 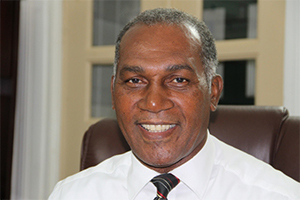 “On behalf of the Customs Department, I would like to thank the NIA for their contribution to the Customs Department in their support of our fight towards protecting our citizens and making Nevis safer and more peaceful,” he said. 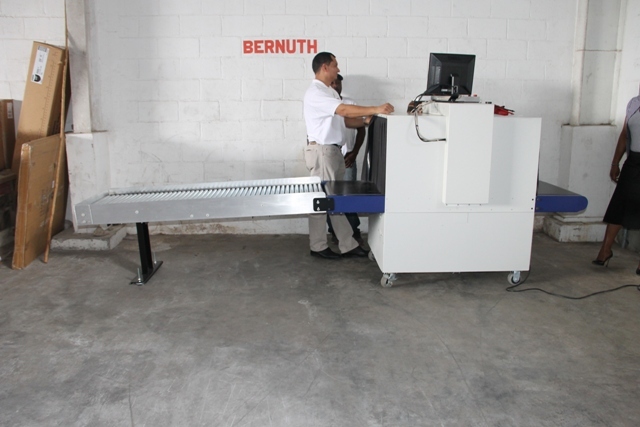 The X-ray Inspection system is one of two machines installed at the island’s ports. The first was installed some years ago at the Vance W. Amory International Airport.